Every year at Bloc Projects we ask an emerging curator to go out and find two or three exciting artists from the degree shows in the north. This year we invited James Woolley from Greyspace in Leeds who picked Richard Taylor from Sheffield Hallam and Naomi Tattum from Leeds University. 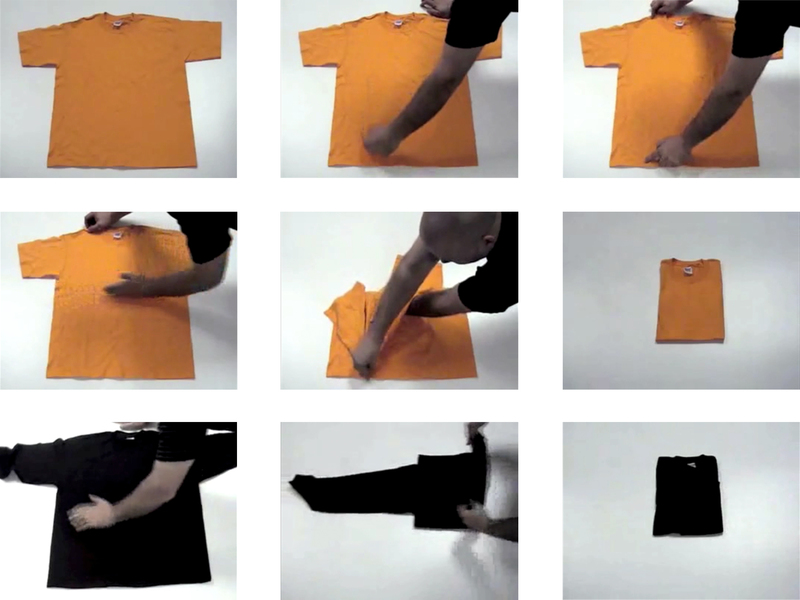 Richard Taylor: Folding A T-Shirt, 2012. 1m 46s. Video projection. Naomi Tattum: 749, 2010-12. 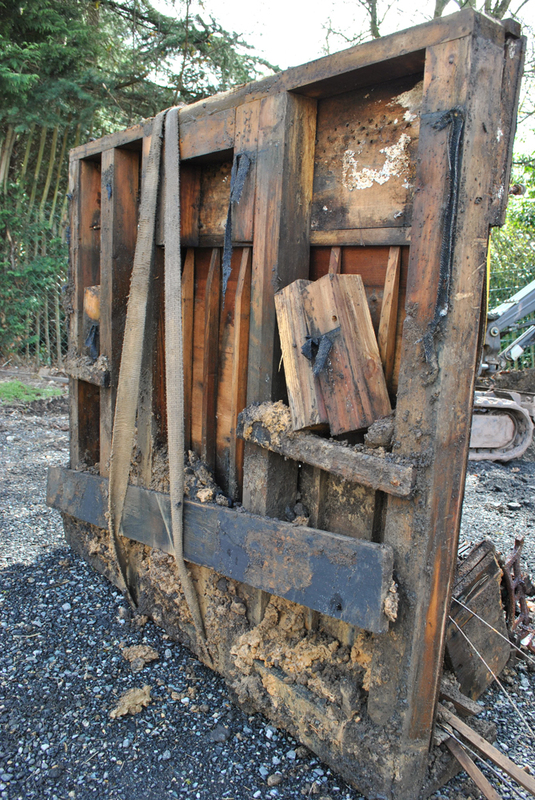 Decomposed piano. I asked the artists a few questions about their practice and of their experiences working with a curator for the first time. Could you say a little bit about your practice? How did it develop while you were on the BA? Richard Taylor: My work went through endless changes while on my BA but it was towards my degree show that I began to develop a practice. I began to work with the idea that the work wasn’t about something, it was something and I wanted to make things that would be interesting to look at in a space. Naomi Tattum: In the 1st and 2nd year, I was very much just experimenting with objects and materials whilst not really understanding or being pressured to understand why I created what I did. Sometimes understanding, or the need to understand, stunts the creative organic growth that can take place through just doing. The BA enabled me to discover where my interests lie, in the world of art but also what feeds it in everyday life. What was it like working with the curator James Woolley? Richard Taylor: Working with a curator was a new experience for me. In the past when I have exhibited my work I have had to organize all the different parts of the show myself from curation to advertising, so it was a nice change to surrender some of those decisions to someone else who had perhaps only recently encountered my practice and presented the content of the work in a completely different way than I had previously. Naomi Tattum: I was attracted to James’ vision for the show and in particular his approach to this piece of work. He had his own ideas for the presentation of the piano which is how I wish the piece to now be exhibited – I now see it as an object that has its potential fulfilled by others appropriating and experimenting with its ever-changing state. What will you be doing after the show? Richard Taylor: Currently I am working on a collaborative project with another Sheffield based artist Ruth Wilde and organising a series of group exhibitions with a small collective of mixed media artists. Naomi Tattum: I will be exhibiting in New Young Leeds – a show that explores and exposes the young visual art talent coming out of Leeds at the moment. This August I’ll also be taking part in a stone-sculpting course in Salzburg as a part of the Summer Academy of Fine Arts, which will challenge me and be another opportunity to discover another way of making work. After this, I will possibly stay in Leeds for a few months to practice but ideally I am looking within the next two years to be moving out of the UK into mainland Europe. Travel and culture are what feed my work and so my ambition is to live and work (possibly as a nomad!) and to discover as much as I can, whilst I can. Lesley Guy is an artist, writer and curator based in Sheffield, UK. She is a Co-director of Bloc Projects, an artist led contemporary art space, and Content Curator for Axisweb.